A range of robust wall mounted fan heaters suited for general purpose, commercial and industrial use. 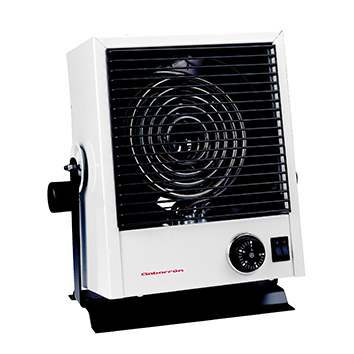 These models provide fast flexible heating wherever and whenever it is needed. The “A” wall mounted models are offered in 4kW, 6kW, 9kW and 12kW versions. Switch for air only (green light). Support bracket to position in any location. Epoxy powder coating RAL 9010 steel structure.